Here we have a series of display booths that don't quite fit a specific category. They aren't exactly jewelry booths, or soap booths. 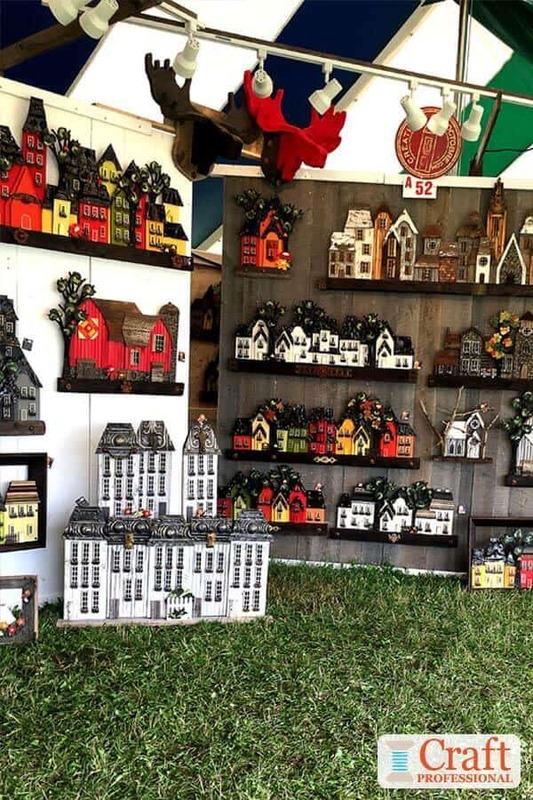 They are more defined by the raw materials or techniques used by the craft artist, and their display solutions can work with a number of types of crafts. I wish I had a slightly better angle on this booth photo. What strikes me about it is the use of trendy items throughout the display. 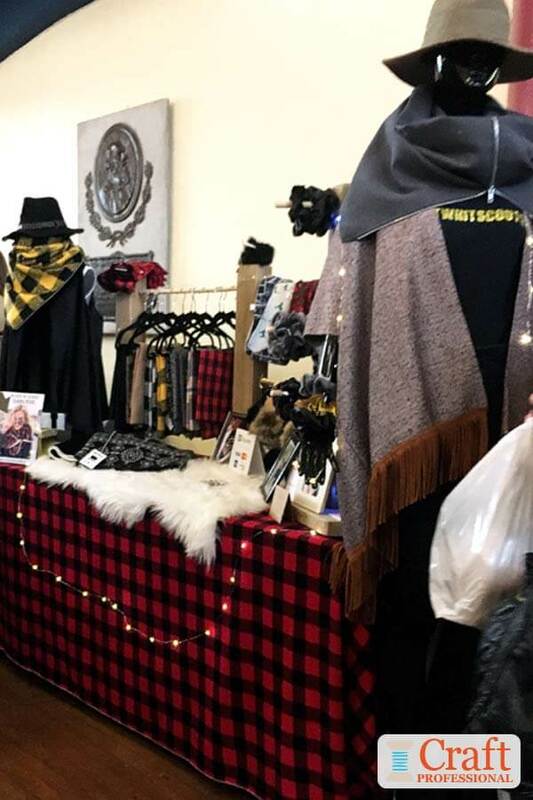 At the time of this craft show, red and black buffalo check, twinkle string lights, and faux fur throws were extremely popular in home decor, and you'll see all of those items within the booth. These elements aren't terribly expensive and can be easily switched out once they move out of fashion because they are accessories. They don't form the foundation of the booth. Adding a few on-trend elements to your display is an easy way to draw attention to your booth, and make everything a little fresher. Also, notice the buffalo check pattern is used in products in this booth as well. In that way, the table covering ties in beautifully with the look and feel of the product. 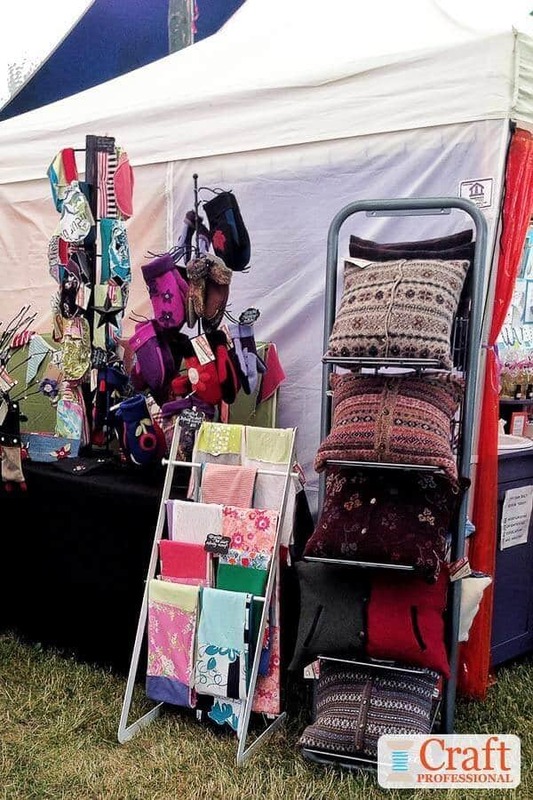 Here's a booth that combines sewn home decor and accessories. The ladder on the right provides a perfect, portable perch for pretty recycled sweater pillows. Notice the portable table on the left is not particularly wide, which is important. If you're going to use tabletop displays in your booth, be very careful about the width of tables you use. Standard tables are typically 30 inches wide. 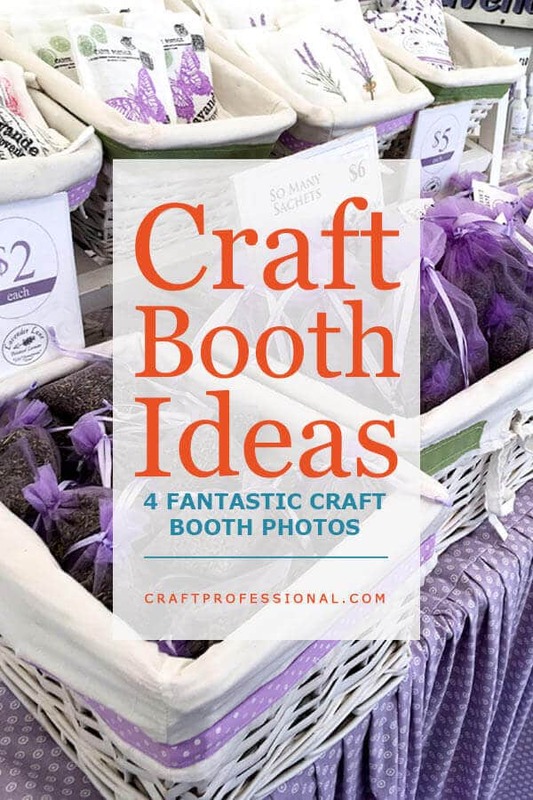 For all but the largest craft products, that's typically too wide because products displayed at the backs of the tables become hidden and hard to reach. Also, 30 inch wide tables in a 10 x 10 booth space quickly eat up a lot of floor space, particularly if you want a U-shaped booth with tables on the back wall and both sides of your booth. You can quickly end up with not much space for customers to browse. This booth, at first glance, might appear to be a soap and body care display. It's not only that. 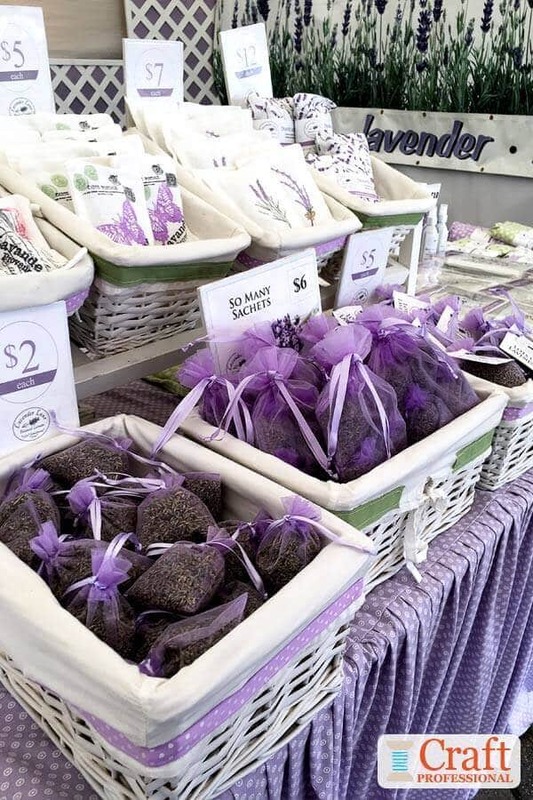 This booth is full of all things lavender including everything from soaps, to sachets, to dried lavender for baking. The display celebrates its most important raw material, lavender, with a pretty purple and white color scheme with bits of green as an accent color. As you approach it, there is absolutely no question what this booth is all about. Pretty woven baskets are a simple solution for displaying smallish products like this. 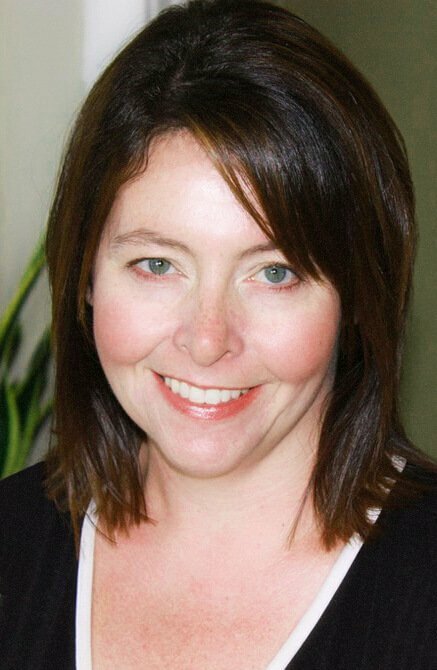 If the baskets you find don't suite your own color scheme, you can always spary paint them your brand color(s). Here's a booth that lets the product take center stage. This eye-catching wall art doesn't need any embellishment. They are attractive completely on their own. Notice, at the top of the photo, there are plenty of lights illuminating this booth. 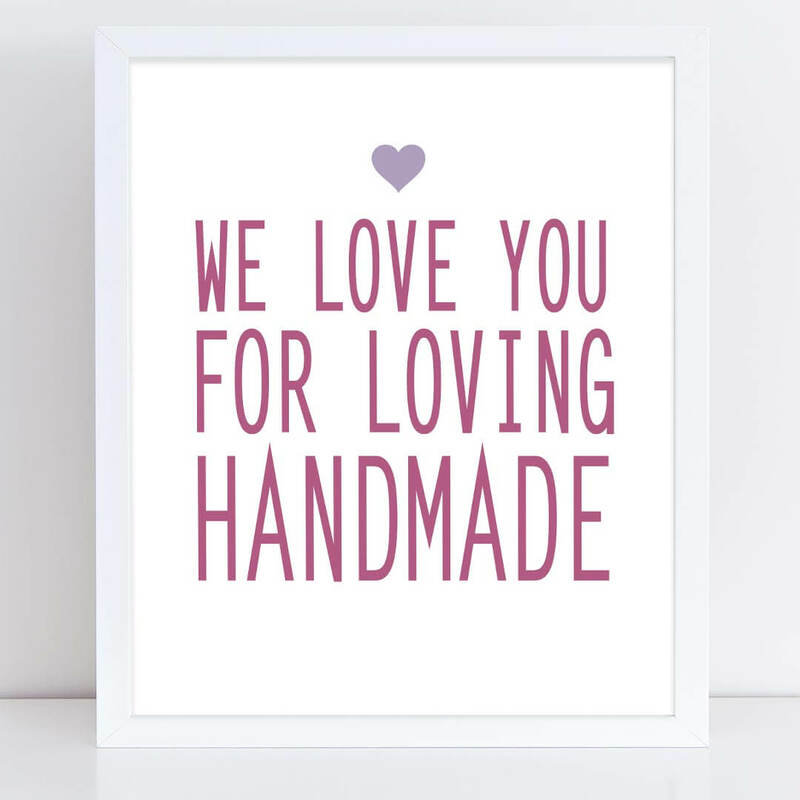 Encourage your customers to splurge a little and support small business with my printable booth signs. 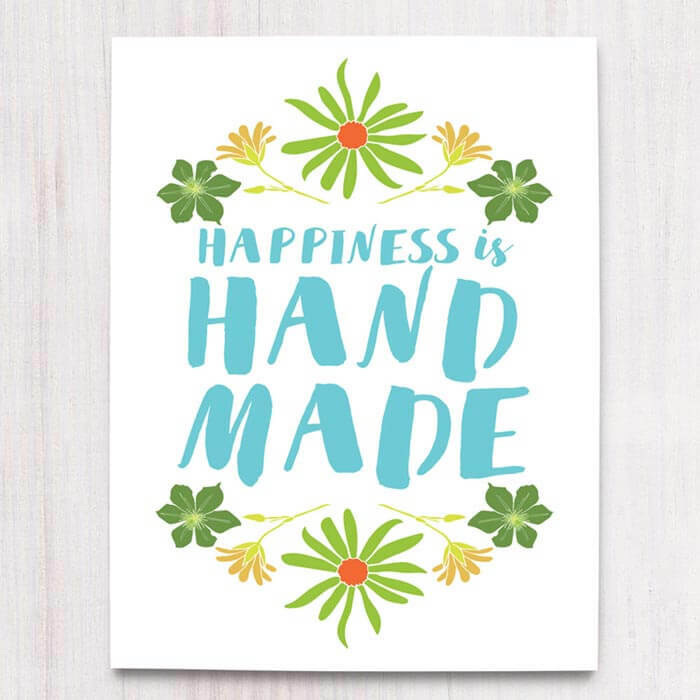 Happiness is handmade - Printable sign for your booth or your craft studio. 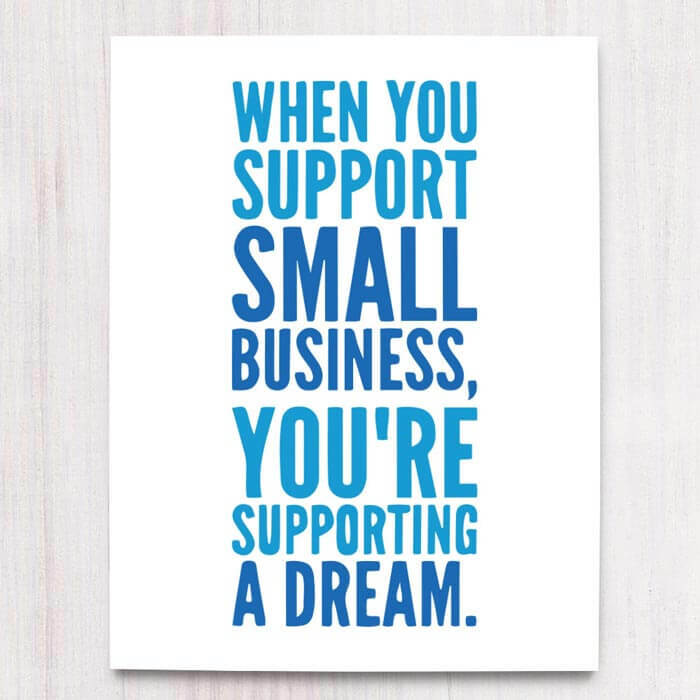 Thank your customers for supporting your small business dream.